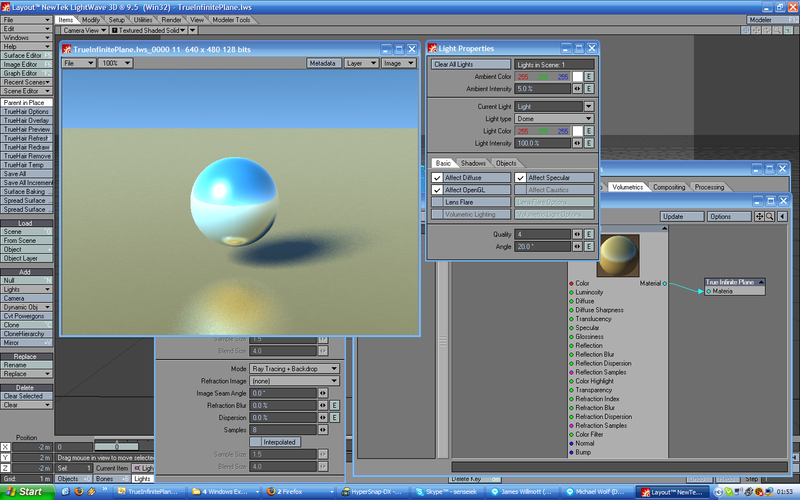 TrueInfinitePlane is LightWave Layout volumetric plugin to render ground plane covering entire scene. You can control surface color using Node Editor just like in regular Surface Editor. Saves you time spend on making huge ground plane object for every project. Custom Node Editor with Material input. 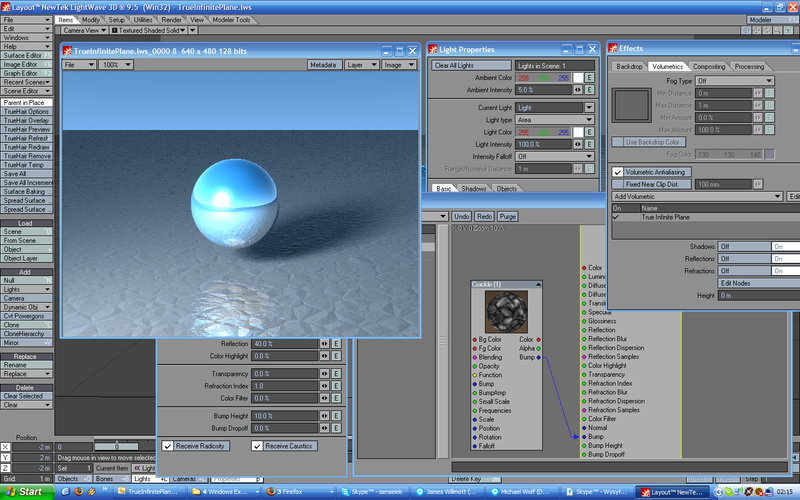 Working with LightWave v9.6+ Materials, such as f.e. Conductor. 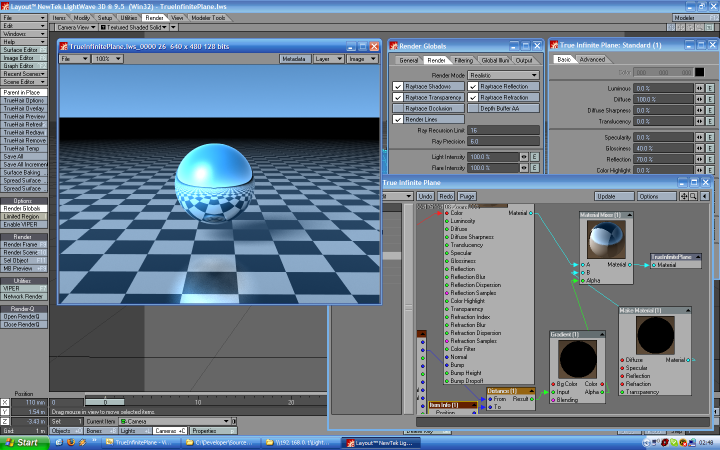 Working with LightWave v9.5+ New Lights, such as f.e. Dome Light. 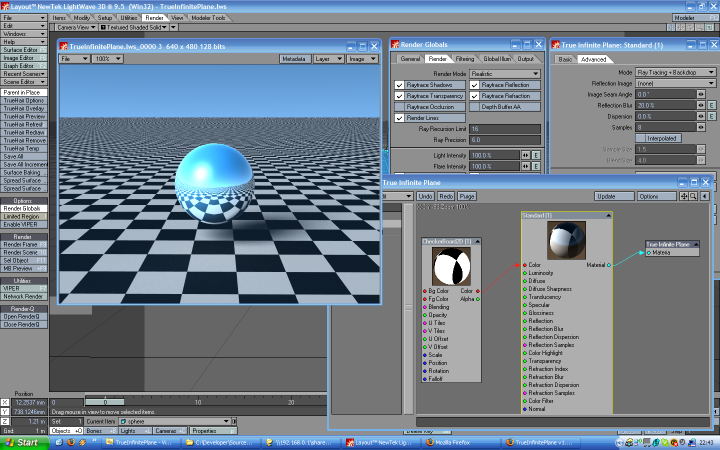 Working with LightWave v9.0+ Advanced Camera Tools, such as f.e. Perspective Camera. Extremely fast ray-ground plane intersection calculation. Ground plane settings stored with scene, not in object. Supporting reflection and refraction blurring. Supporting normal and bump mapping. 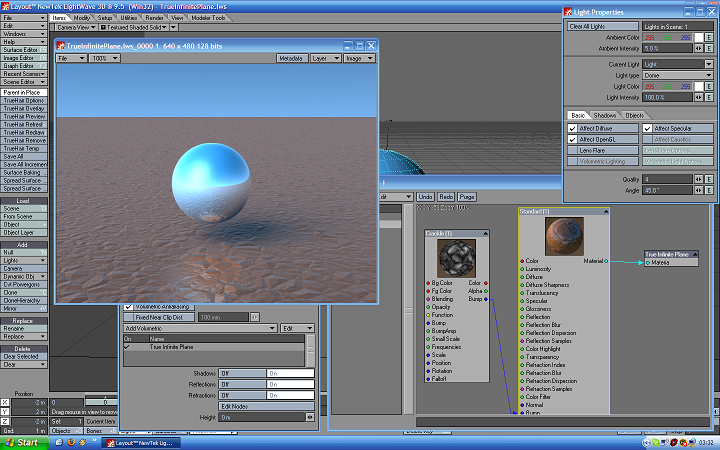 Add plugin to Layout, then press ctrl-F6 to open Volumetrics Effects window. Pick up True Infinite Plane from drop down menu, and press Edit Nodes to edit surface color.